OMG! I always crave drunken noodles and I wished for it on a truck. Is this my noodle dream come true? What large noodle portions you have my dear. What delicious big shrimp you have. I now can make it through the rest of my day. Not that it was bad, but, drunken noodles AWLWAYS makes everything better. They're super friendly and the portions could feed a small family. Seriously, how many trucks give you two chicken breasts as the topping? However, I wish they'd use rice (not glass) noodles, and throw in a couple chunks of scrambled egg, and a wee pinch of sliced scallion. Otherwise, it's a bland pad thai. I ordered drunken noodles with shrimp. It was very good. The portion was large with lots of topping (shrimp). The Thai ice tea was as perfect for the summer in DC. Woman was very nice and gave me a free thai ice tea with my meal. 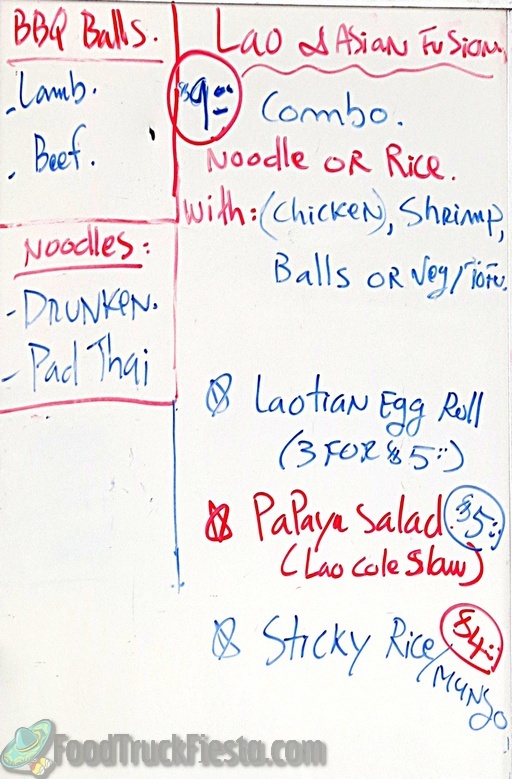 Unfortunately, the drunken noodles were not great. I ordered with chicken and it came with two very dry, yellow pieces of chicken on top. A lot of unidentifiable meat and burnt pieces of.. something.. were scattered throughout the noodles. Gave a lot of food and great service, but the food was just not up to par. This is one of my favorite food trucks. The lamb balls are the best I've ever had! They are perfection every time. The drunken noodles are also great and go very well with this combination. Highly recommend for snobby taste buds! The lady is super nice and was happy that I, too, am a vegetarian. I asked if her fresh rolls had meat in it and she said no because she forgot to put shrimp in it and gave me extra rolls. She also gave me a sample of her drunken noodles to try and I must say, it was very good...had a kick to it...but it was good. I will be a return customer. The most authentic Thai experience I have had in DC. Every dish bursts with flavor and the service is amazing. I look forward to Tuesdays with Sang! Wasn't pleased. It was a lot of noodles and peanuts which I liked. The taste was okay. The chicken was too salty and dry. The noodles are clear, not what I expected for Pad Thai and the sauce was different. It wasn't bad but it wasn't good. I had plan to eat more of it since I was so hungry until I found a hair in the food. I stopped eating it and threw it away. Please wear a hair net. Oh my goodness!!!! This food is absolutely the BEST!! Sang is ALWAYS SO GOOD ME & my friend!! It's so much food! The entire staff is so friendly. I travel from Capitol Hill to the downtown area whenever possible just so I can eat this fine cuisine. This is the ONLY food truck that I patronize. THANK YOU SANG!!! WE LOVE YOU! Was going to pass this truck by, but I doubled back because of how good it smelled. The cooked vegetables in the lamb balls combo were a bit bland, but the meat was flavorful, the meal was filling, and I appreciated the inclusion of soy and siracha sauces (I had to ask for the soy, and she tried to talk me into her pineapple sauce which she said was better, but I also appreciate the conversation, feedback, and service!). Thai Tea was excellent and a nice $2 add on to the combo. Overall this truck was good but not great; woulda gone 3 1/2 stars if it were an option. 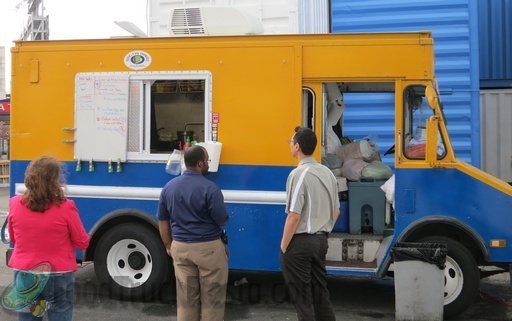 Sang on Wheels started serving on October 20, 2010 and offers Asian fusion and Lao cuisine.